This week we finished three Danish project pieces and got started on a pair of American lounge chairs. 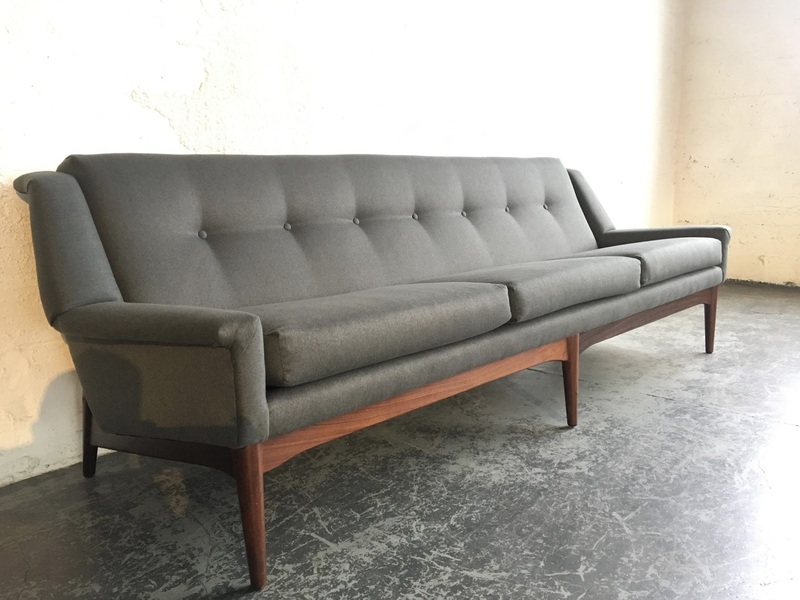 A few weeks ago I drove 750 miles round trip to pick up this Danish sofa by Bramin. 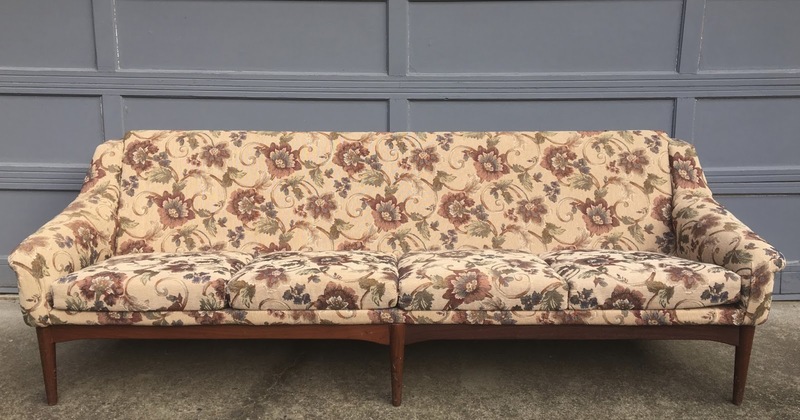 Our vision for this sofa came together when we found a perfect fabric for it. 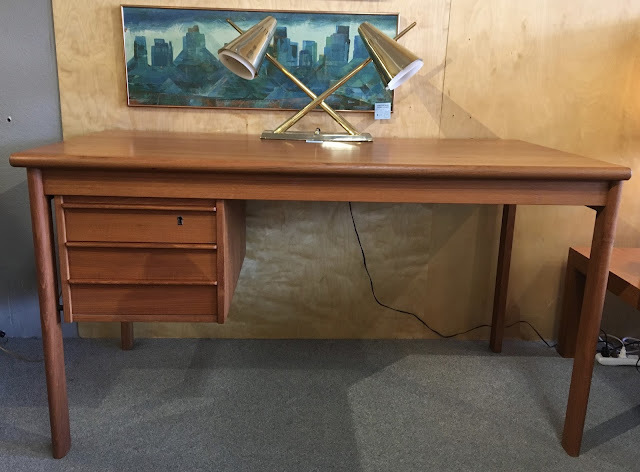 It is now for sale at The Good Mod in Portland OR. Here is a picture of the sofa in the condition we found it in. I was very lucky to have found this Danish teak desk by Peter Niels Lovig. It has a sliding top that reveals hidden storage compartments. I refinished the top and it looks good as new. 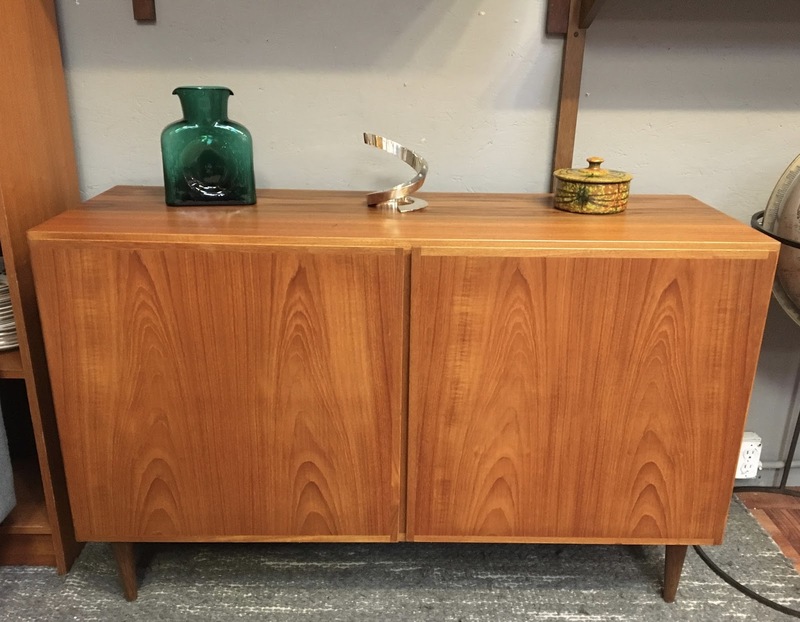 We also found this small credenza by Gunni Omann. 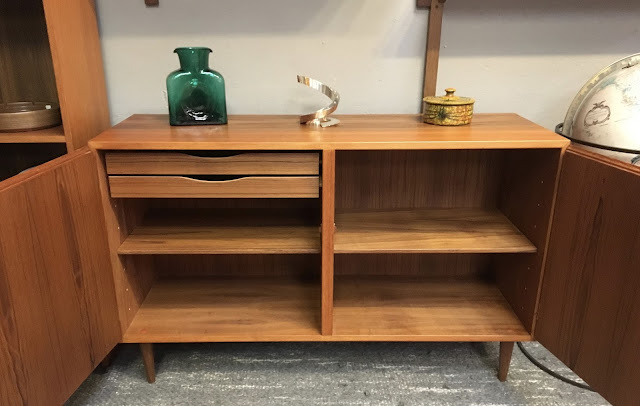 I refinished the top and replaced the plinth base with teak tapered legs. 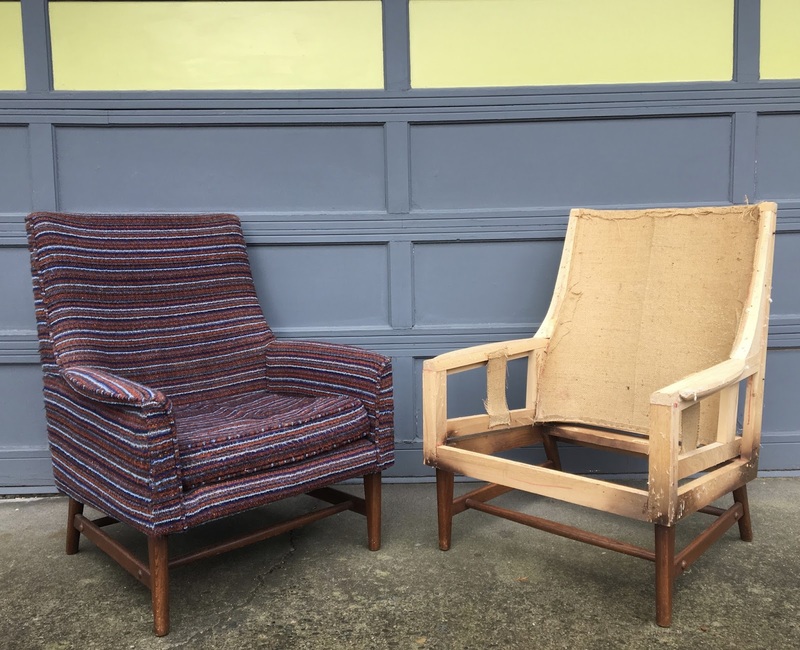 Lastly, we found this pair of American lounge chairs. We stripped the first chair and we will begin upholstering them soon.